Winter is over in Hay Day! The last update of Hay Day has left behind the Christmas theme and has introduced many interesting new features. The famous free simulation game from Supercell has a new version for iOS and Android. The major novelty can be found in the social field. 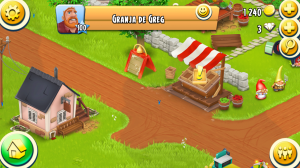 Hay Day allowed you to interact with other players in various ways, such as buying products in their stores, helping them to get a few extra crops in the bushes and trees fruit or collaborating on cargo ships. From now on we will have a community building, in which we can interact with our neighborhood more dynamically. We will be able to chat with our neighbors and adopt some specific community roles. The community building is unlocked at level 29. Besides, another interesting development affects the diamonds’ consumption. 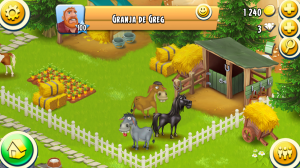 Hay Day is free, but if you want to speed up the game, you need to do some in-app purchases. With these purchases, we buy diamonds, the currency required to accelerate some processes and buy some products. You can also gain these diamonds slowly by doing certain tasks, but it is a slow and difficult process. Until now, it was easy to spend them by mistake, since no confirmation was asked to use them, and we often spent some gems unnecessarily trying to do another action. From now on, we can configure the game so that we are always asked for confirmation before spending precious diamonds. Finally, the update also includes new features such as: – New fishing sites and new fishes. – A new pet: another donkey. – A new fruit tree: lemon tree. – Support for Korean language. And remember, there is a special event announced for February 14 …stay tuned! You will find more information at Hay Day Supercell forum.